If you’ve recently had quartz installed for your kitchen counters or other areas of the home, congratulations – you’re getting a fantastic material that’s becoming more and more popular over the last few years. Quartz is one of the strongest countertop stones out there, with no added sealants required and no special cleaning agents needed. At Intermountain Stone & Marble Company, we provide a full range of services for quartz countertops. While their non-porous qualities make cleaning and maintenance far simpler than some other types, there are still some basic things you should do here to keep them both functional and aesthetically pleasing. Here are some basic tips, both for simple cleaning and for organization areas. Quartz countertops are made from a fusion of natural quartz with resin, which combine to produce a non-porous surface. This means that any spills or splashes on the material won’t make their way into the fibers of the stone – rather, it will remain isolated despite no added sealant required. This means that daily cleaning for quartz countertops is a breeze. A soft cloth or sponge plus warm water is all you need for basic stains or dirt, and a little dish soap or liquid cleaner generally does the trick for stickier stains or messes. For the very toughest stains out there, you might need a mild cleaner like Bar Keeper’s Friend and a damp cloth. One caution with quartz: Never use abrasive materials like metal wire or bleach cleaners. These can affect the finish of quartz and lower its value. Non-use storage: Chances are you have plenty of items that are used on your countertops, but you don’t use them all at once. Leaving too many things out will clutter the space, raising the risk that something gets spilled or broken. Junk drawer: Down related lines, consider forming a “junk drawer” somewhere near your countertops that will serve as a designated area for random, miscellaneous items that have no other home. But don’t be afraid to organize even this drawer to whatever degree you can – there’s no harm in having things in order! Limit décor: It’s great to show off your belongings and style on the countertops, but don’t overdo it here. You can use walls and other spaces to add additional décor if you’re worried things are too bland. 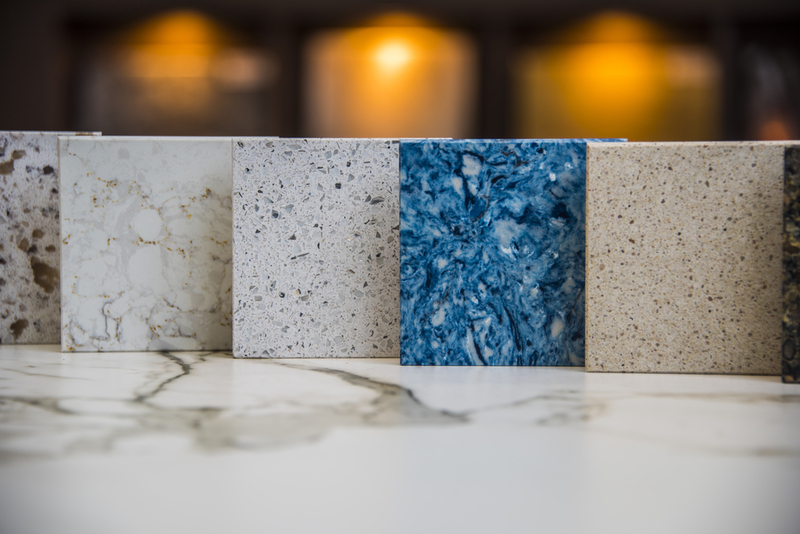 For more on simple ways to keep your quartz countertops clean and organized, or to learn about any of our kitchen and bath remodel services, speak to the staff at Intermountain Stone & Marble Company today.